I'm assuming you already know, but in case you don't, I will just tell you. 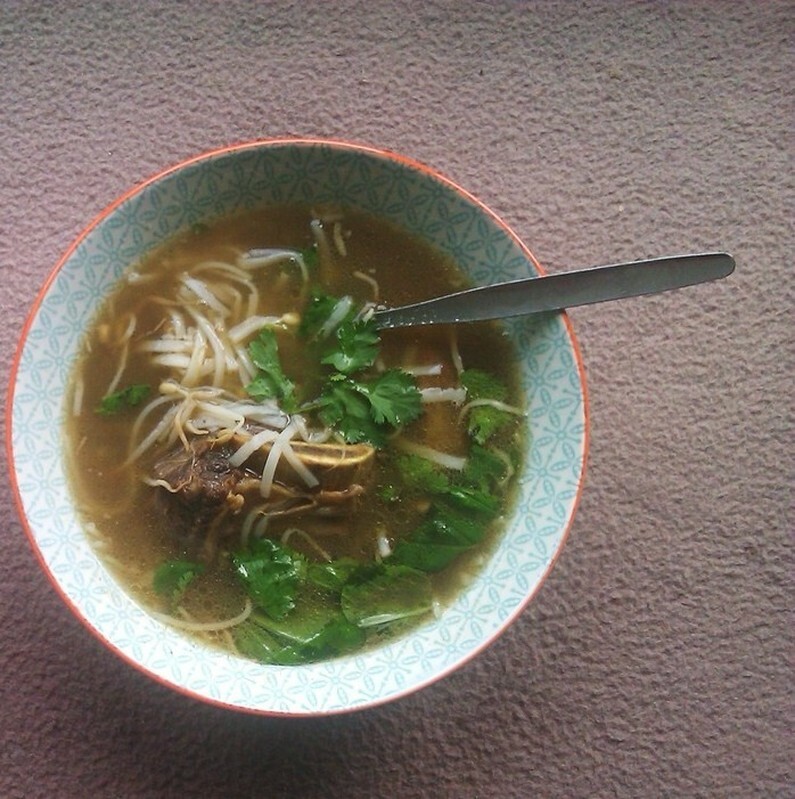 Pho is a Vietnamese noodle soup. It's the most famous dish from Vietnam and consumed there on a daily basis. It is also popular worldwide. 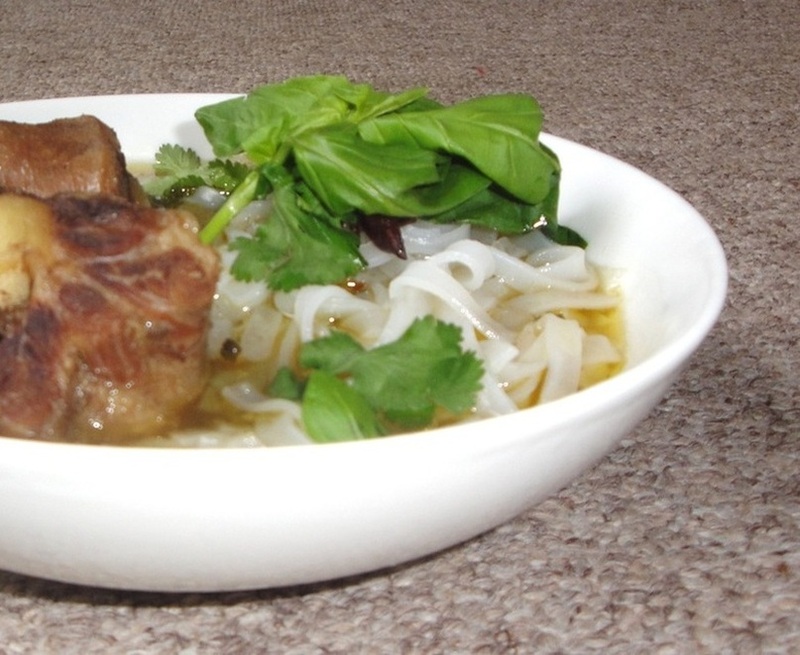 There is in fact not a single dish more connected to the country of Vietnam than Pho. Like any soup, the most important thing is the broth. The broth is often made with beef bones, and it's simmered for hours upon hours until the flavours are deep, rich, and super flavourful. 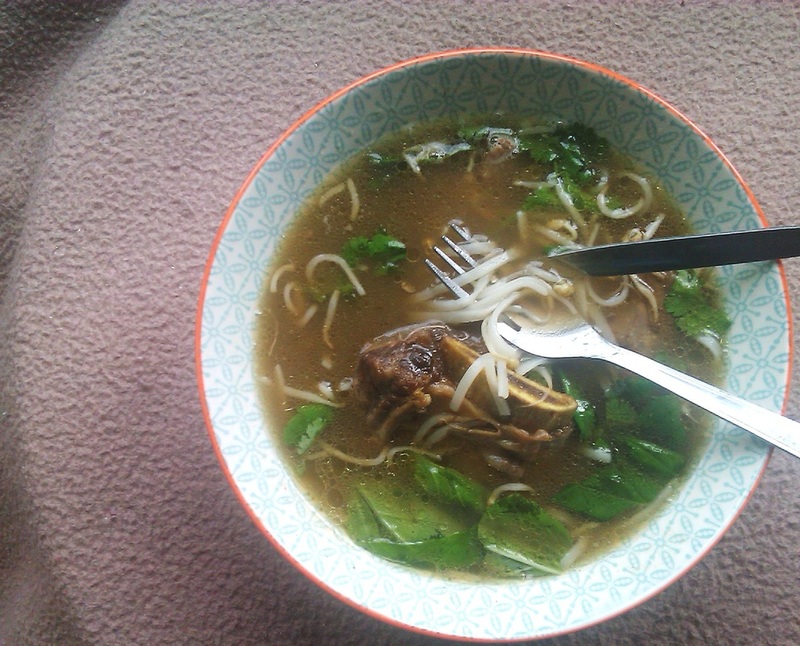 After the broth, the second most important part of the soup are the noodles-at least in my opinion. Not just any kind of noodles, but rice noodles. 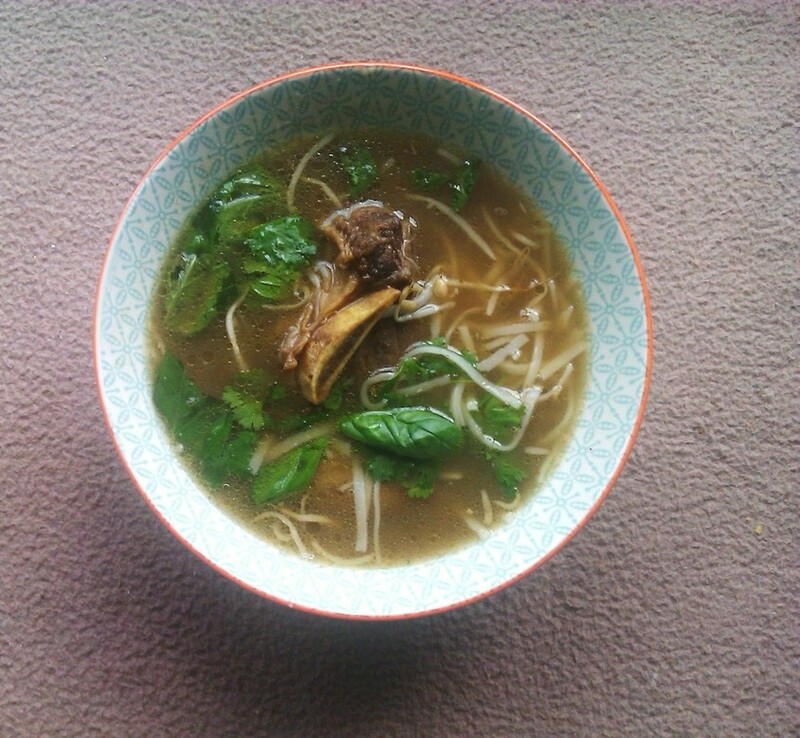 You don't have Pho without a rich deep flavourful broth made from bones, and you certainly don't have Pho without rice noodles. 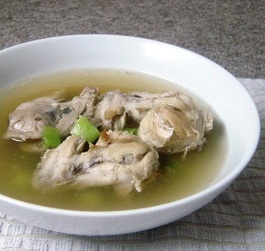 In terms of meat, the soup is usually either made with beef or chicken. Common cuts of beef include tendon, flank steak, oxtail, brisket and various others. Beef meatballs are also becoming more popular. As with any dish on Simbooker. 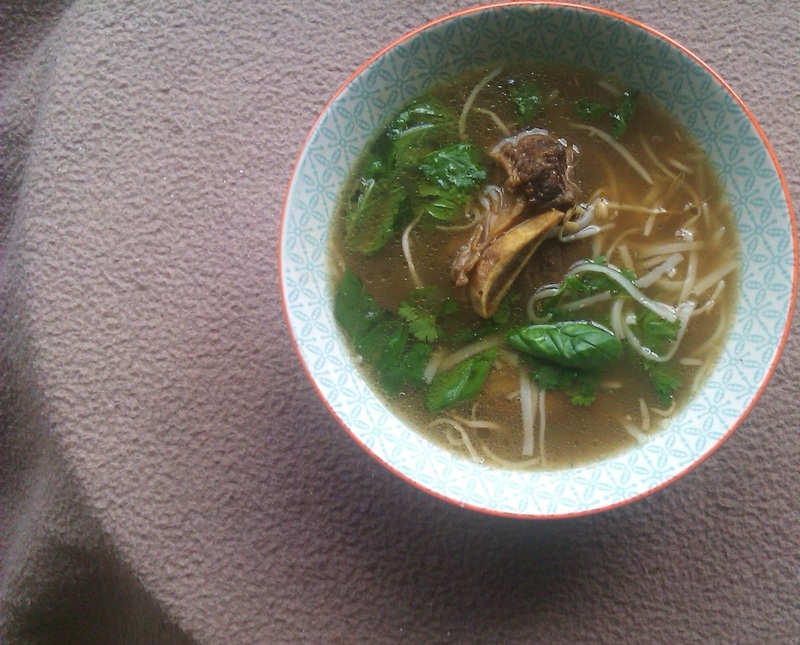 I've made Pho my own way. 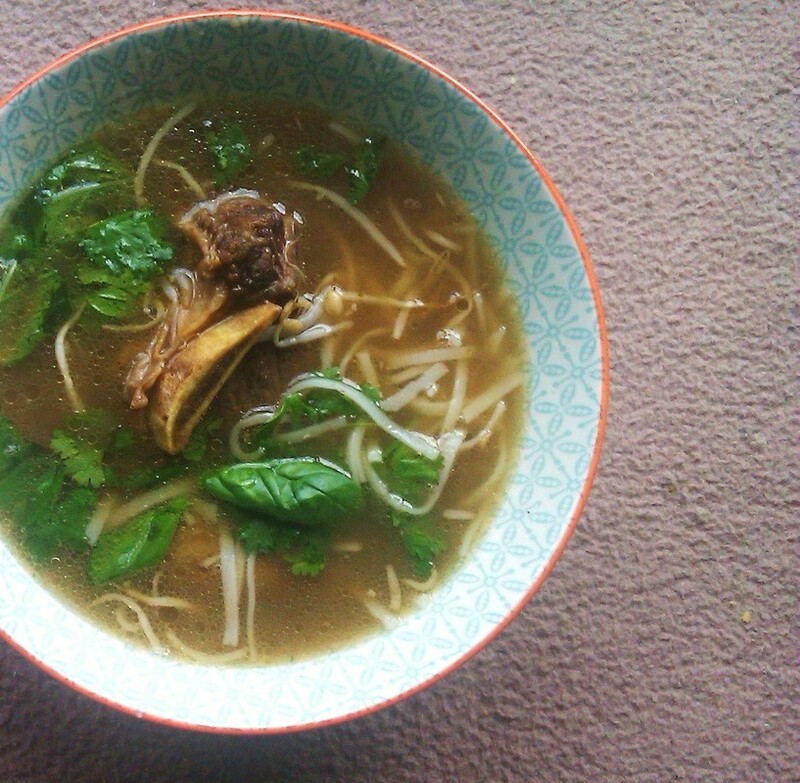 I used both beef ribs on the bone, and duck legs as the meat for my Pho. 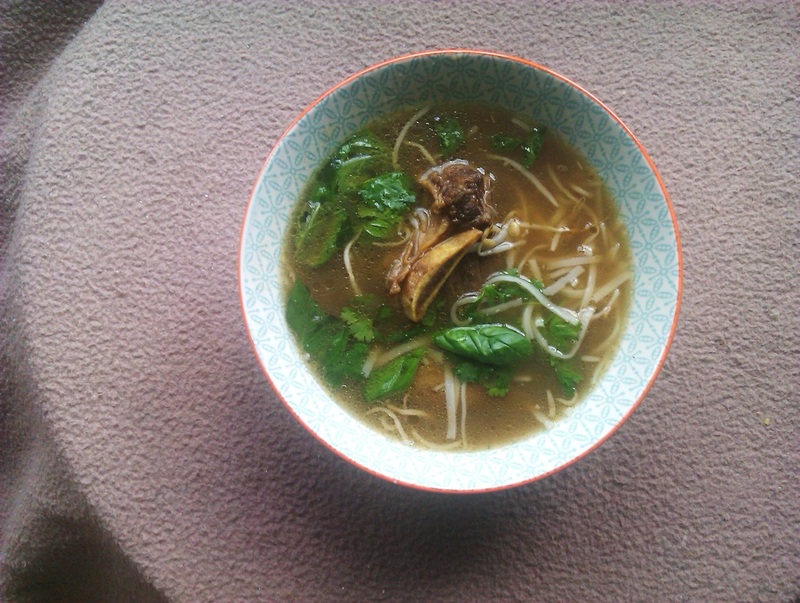 I used leftover cow feet bones to further aid me in enriching the broth. 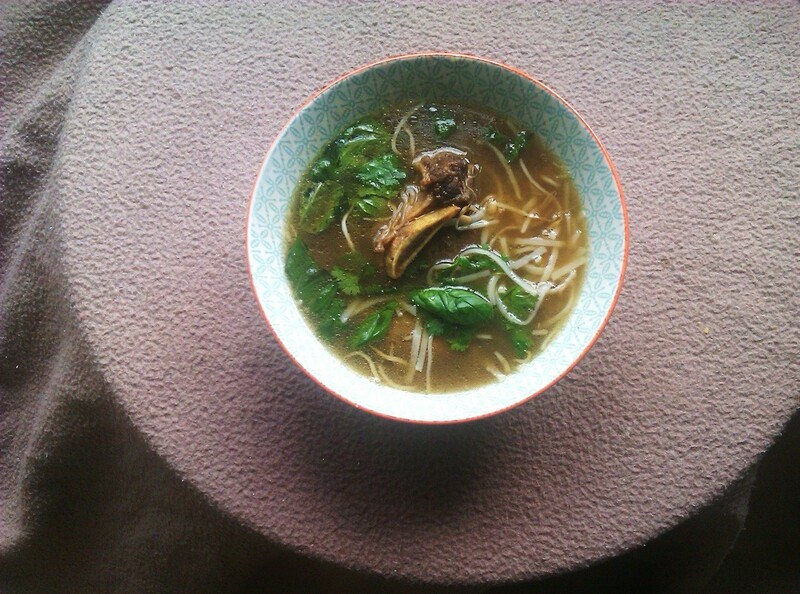 It was the best Pho I've ever made. And it did not take 7 hours of simmering or 100 ingredients. 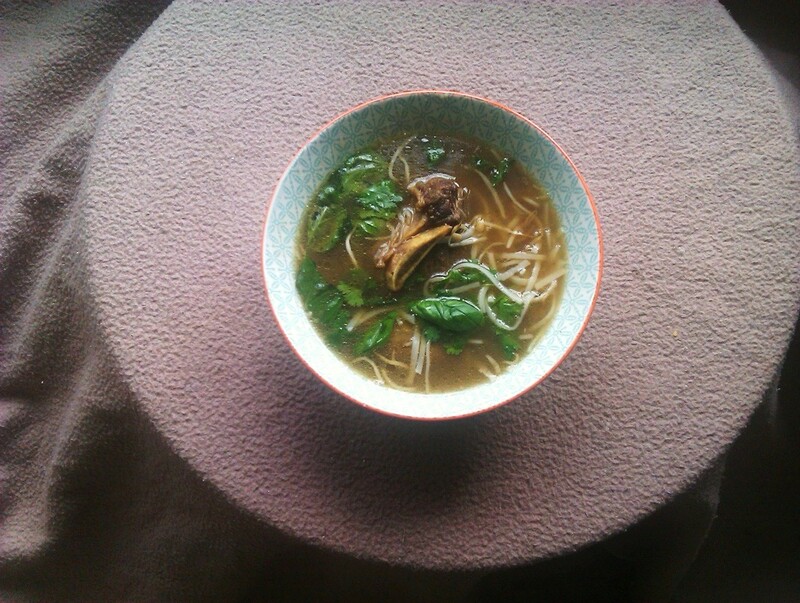 This is an easy Pho, a recipe that anyone can follow. 1. For the meat sprinkle 1 tsp of salt, 2 tbs of soy sauce. Rub the ingredients in and set aside. 2. The next step is to heat up 7 tbs of oil and sear and brown the meats. While the soup cooks don't worry about the froth at the top. It is not scum, just protein from the meat which will go to the bottom of the pan as it cooks. Strain the broth twice at the end for a clean tasting broth. 1.If you use the same pot to brown the meats then dump the oil out, make sure there is no oil left. Then add the water to the pot and bring it to a boil. 2. Then add the meats, the beef bones, the stock cubes, the garlic, onions, sweet pepper, and boil on high for ten minutes. 3. Then turn down to a low but steady simmer. Then add the remaining ingredients...a bunch of basil, a bunch of cilantro, a bunch of scallion, the cinnamon sticks, ...make sure you have enough herbs left over to decorate the bowl, you need herbs to flavour the broth and fresh herbs for serving. Either follow the instructions on the packet of the noodles or do as I do. Bring 9 cups of water to a rolling boil and then add the noodles. Immediately sprinkle the noodles with a teaspoon of salt and stir vigorously. Then add the bean sprouts and cook for no longer than 2 minutes. Immediately dump/strain out the water, and get ready to serve. 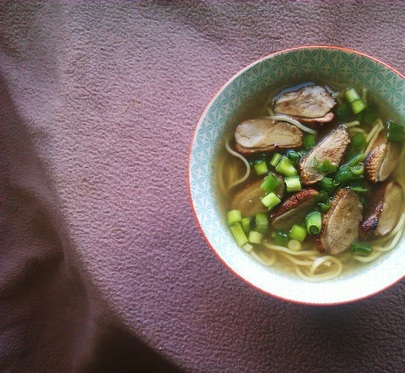 Ladle a bowl with the noodles first, then add the meat on top, I cut the duck legs into chunks. 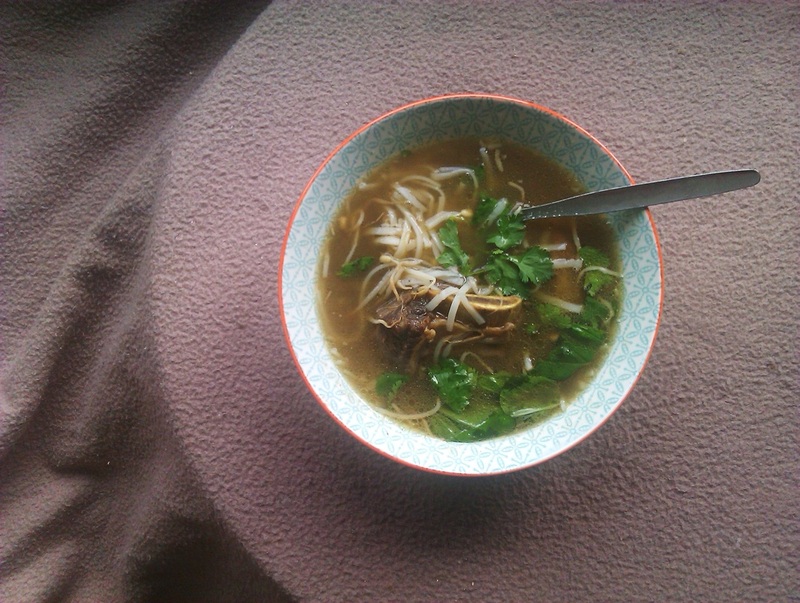 Then add the broth, bean sprouts, then more herbs. Store the soup broth, the meat, and the noodles/bean sprouts separately in air tight containers. This Soup can be stored for up to 5 days.